As the newest member of the SoCal Eye team, Dr. Ted A. Pasquali is devoted to providing excellent and personalized patient care in all areas of ophthalmology. 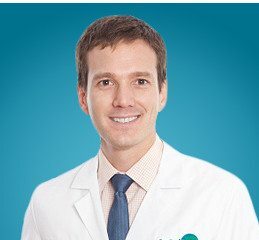 After receiving his undergraduate degree from Princeton University and his medical degree at UCLA’s David Geffen School of Medicine, Dr. Theodore Pasquali completed his internship in medicine at Banner Good Samaritan Hospital in Phoenix, Arizona, his residency in ophthalmology at Cole Eye Institute at the Cleveland Clinic, and a fellowship in refractive surgery at Durrie Vision in Overland Park, Kansas. He is a member of the American Academy of Ophthalmology (AAO), the American Society of Cataract and Refractive Surgery, and the International Society of Refractive Surgery. Dr. Theodore Pasquali enjoys participating in research and has published papers in the Journal of Refractive Surgery and the Journal of Cataract and Refractive Surgery.